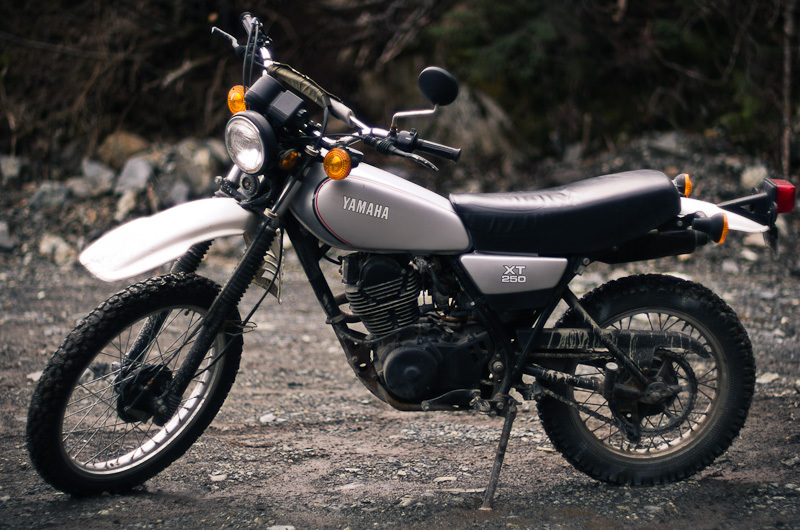 In the early eighties I bought a Yamaha XT 250, my first motorcycle. I was in my last year of college and didn't have much money, a used bike was my only option. I ended up buying a used bike with very low mileage. The previous owner already had installed a Supertrapp exhaust and it came with a brand new Yamaha jacket and an AGV helmet. 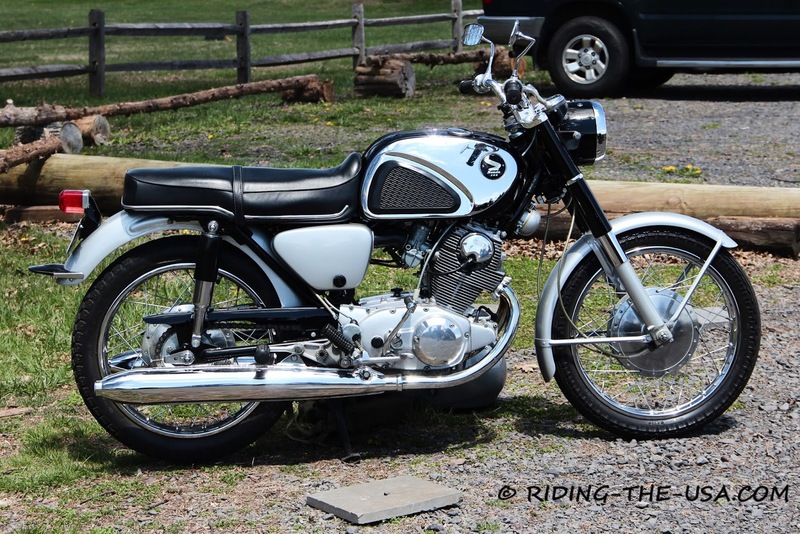 I had never ridden a motorcycle but the day I picked it up I mounted the bike and rode it home, no license or insurance. I was young and taking risks was no biggie. I later got a permit but never got my license. 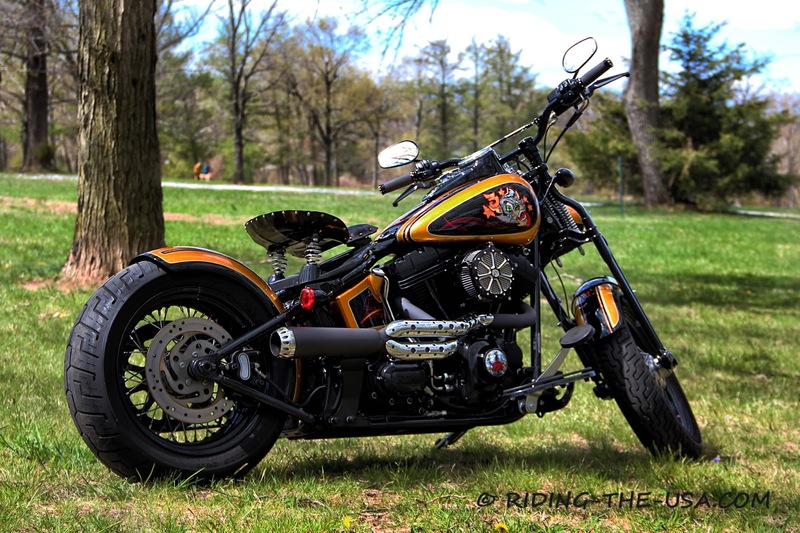 A year later I got married, sold the bike and soon thereafter moved from South Africa to the USA. In 1982, the movie "First Blood" hit the box office starring Sylvester Stallone as John Rambo. 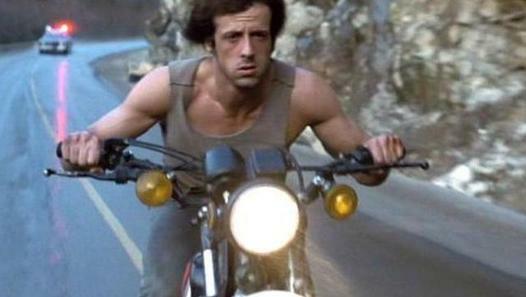 In the movie when Rambo flees from prison he rides a stolen Yamaha XT 250. 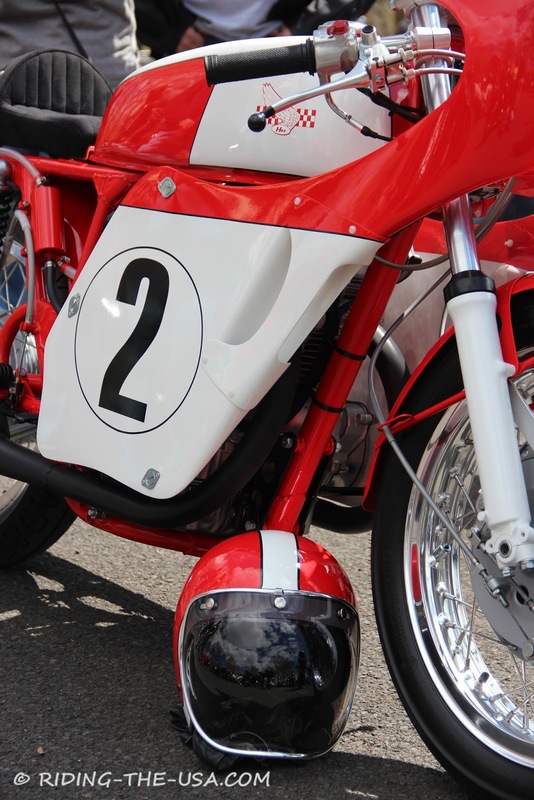 Most people didn't notice but if you listen closely the bike sound is from a 2-stroke engine. The director obviously decided the 2-stroke screaming sound would fit better with the hectic atmosphere of the chase scene. I had so much fun with the little XT 250. I rode the bike everywhere I could night or day, highway and dirt roads. I was only 22 and felt invincible. This is a scan from a badly deteriorating photo and yes, before you ask, I was going out to a party and was wearing red corduroy pants and nice shoes. It was the early eighties, corduroy was in style. 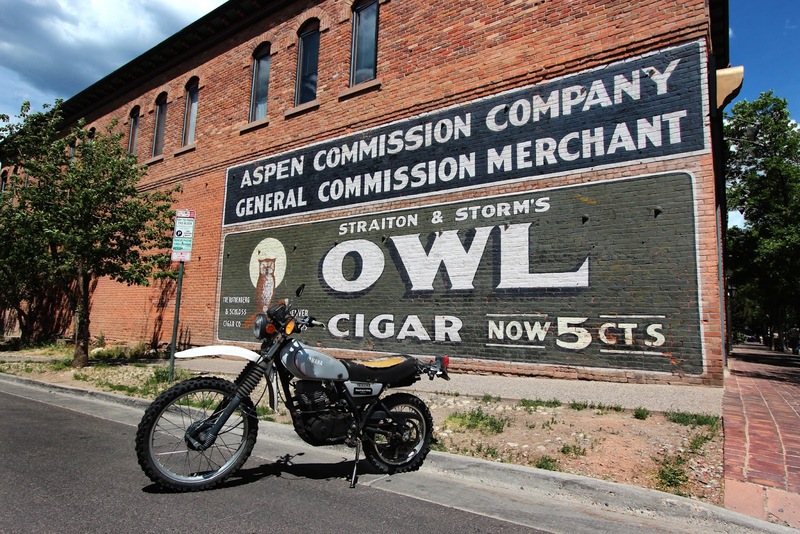 Last year I rode to Ouray, Colorado for the second Yamaha Super Tenere gathering and at the end of the meet I went north making a stop in Aspen. While walking around town taking photos I come around a corner and right there in front of me was a Yamaha XT 250 exactly like the one I had. I couldn't believe my eyes, same color and same generation. 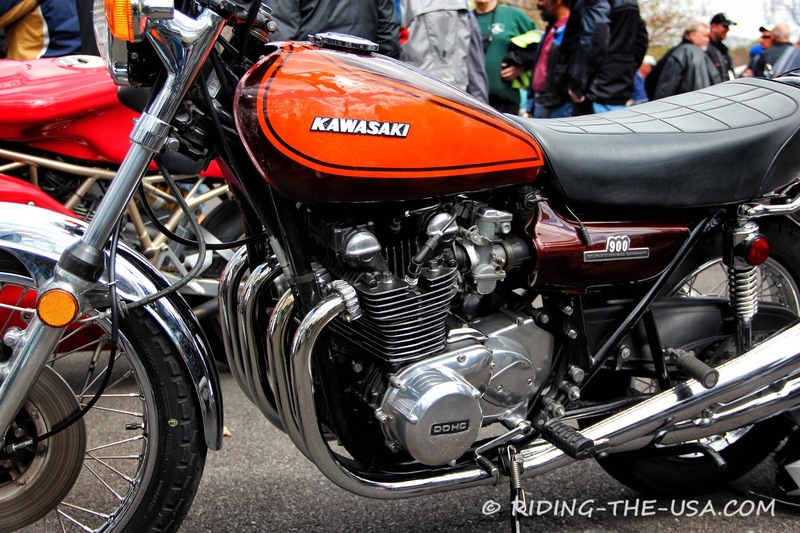 Seeing the XT 250 again 30 years later brought back lots of good memories. It wasn't in the best shape but with a little TLC it could still be turned into a good motorcycle. I didn't have a chance to see the owner. 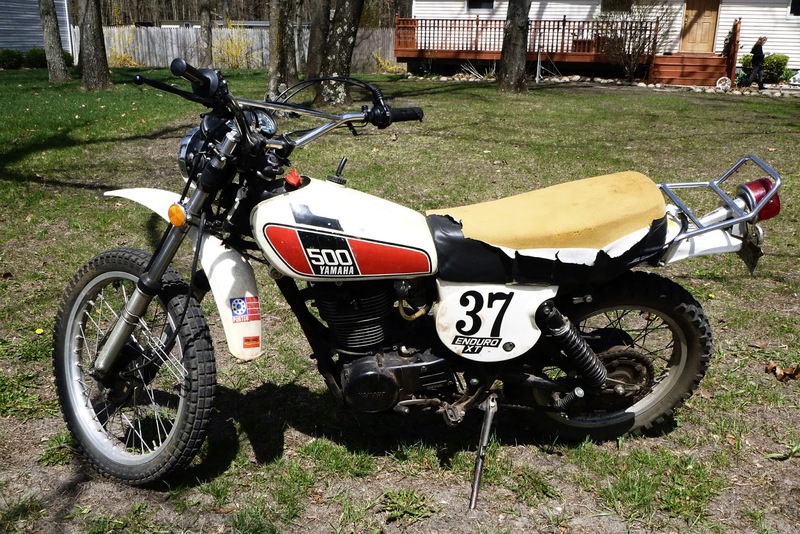 A few weeks ago, I am returning home from my parents home and came upon a XT 500 for sale. 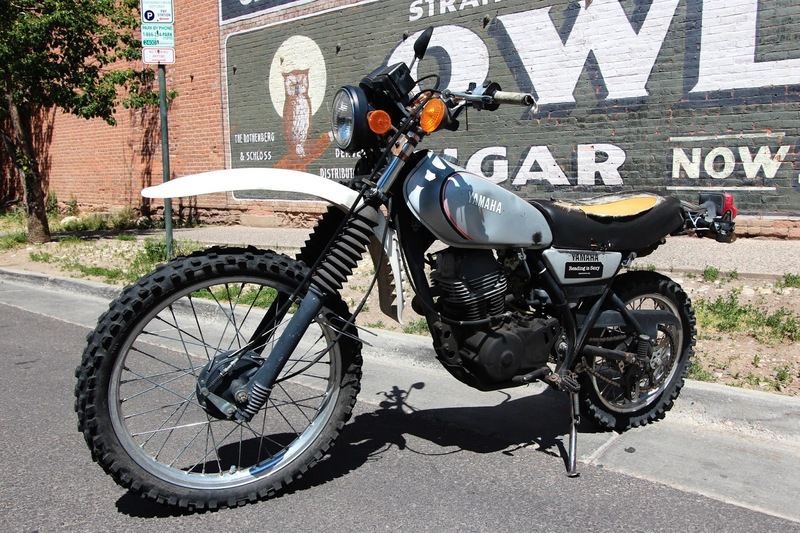 The Yamaha XT500 is a twin-valve single-cylinder enduro-adventure motorcycle made by Yamaha from 1975 until 1981. 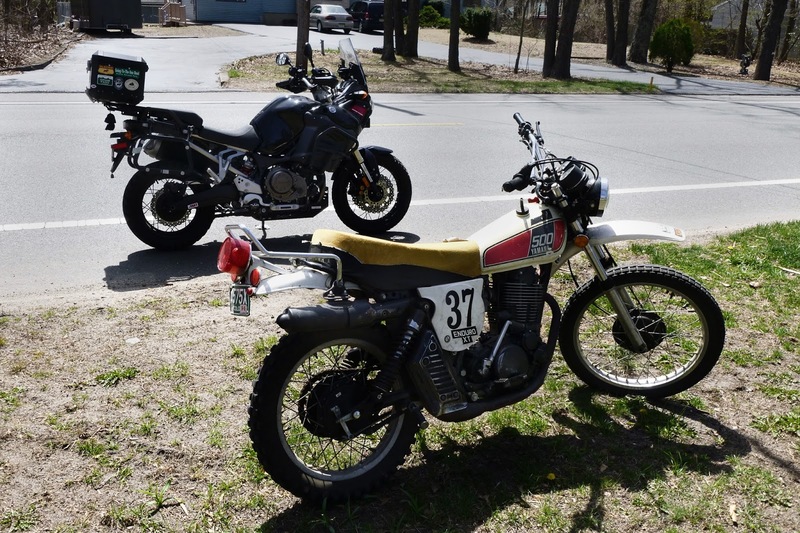 The bike was a big success and it laid the ground for the later range of XT bikes ranging from the XT125cc to the current XT660Z Ténéré (the 660 is not available in the USA) and XT1200Z super Ténéré. 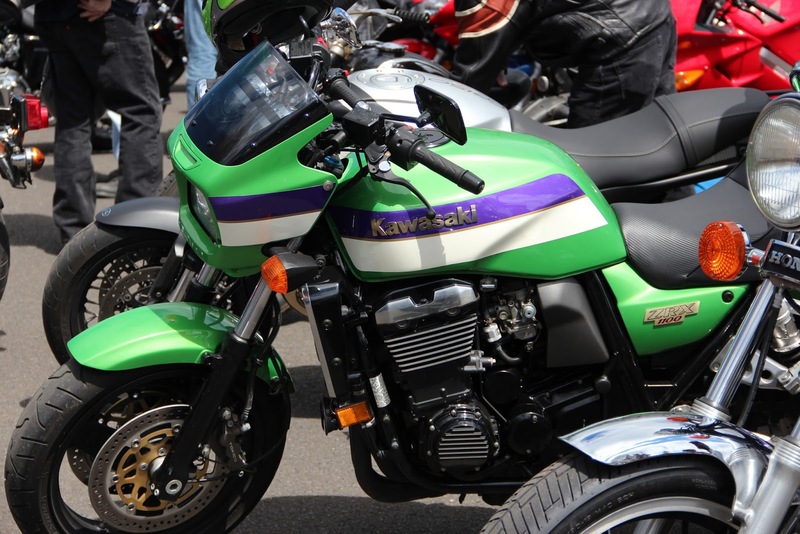 The XT series contributed largely to Yamaha's image. The owner came out and started the bike for me, it was great to hear the thumping sound of the big 500, the sound bringing back good memories of my XT 250. If I had the money I would have bought this bike but with three bikes already in my garage I don't think my wife would have been happy. 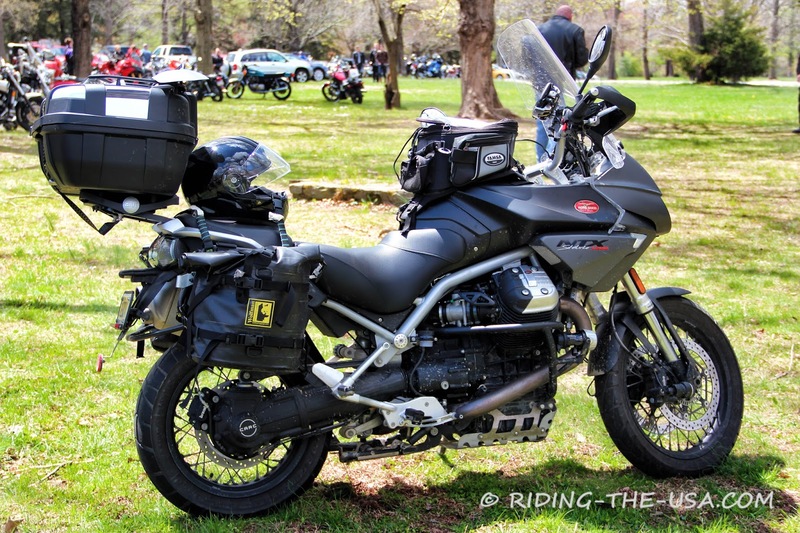 As promised here's some of the other bikes present at the Gathering of the Nortons at Washington Crossing Park in Pennsylvania. 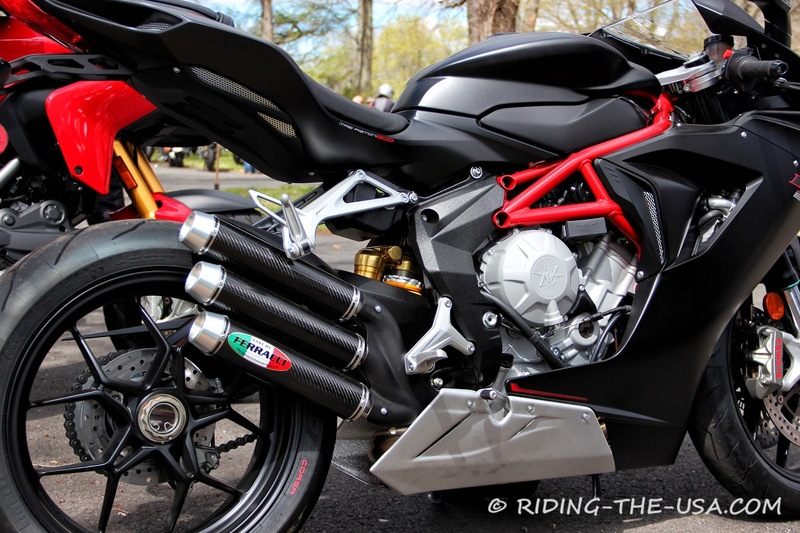 A beautiful MV Agusta F3 800 with a Ferracci Carbon Fiber slip-on. Lists on Ferracci website for $1180. 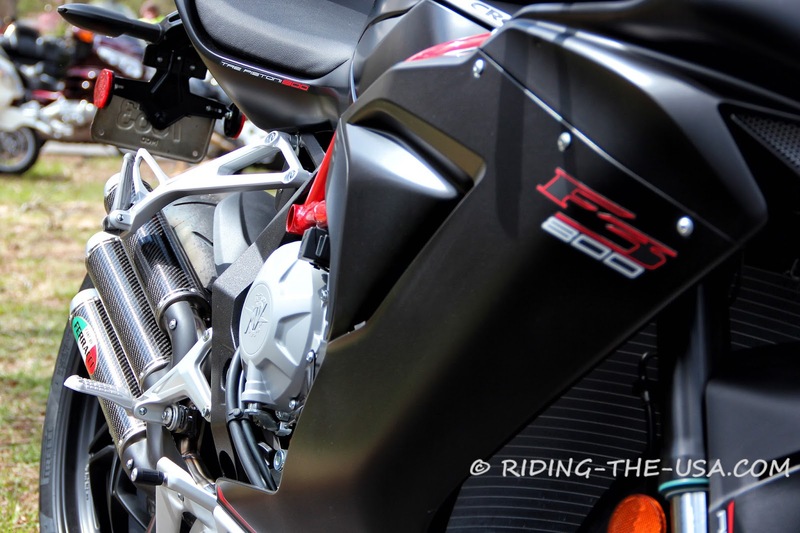 These F3's sound awesome and the Ferracci makes it even meaner. 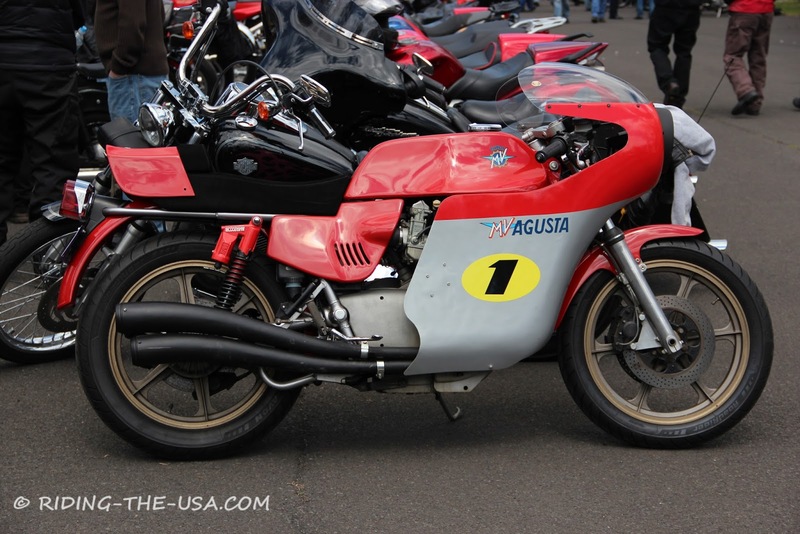 The Triumph X-75 Hurricane was a 'factory special' motorcycle designed by fairing specialist Craig Vetter. 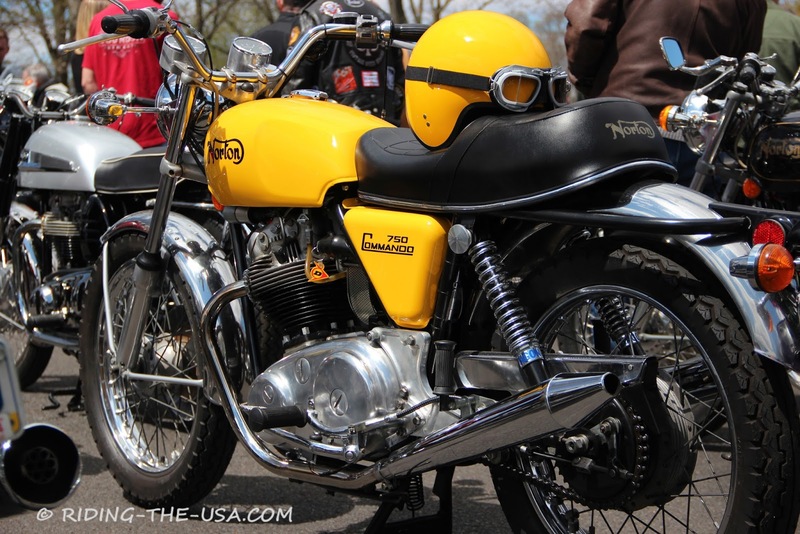 It was ultimately released as a Triumph model in 1973. 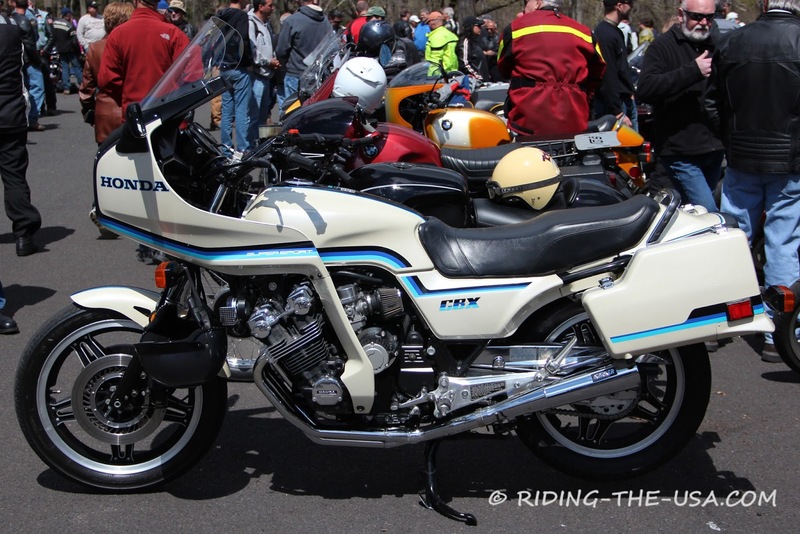 The Honda CBX was introduced in 1978 as the first production Honda motorcycle with an inline six-cylinder engine. 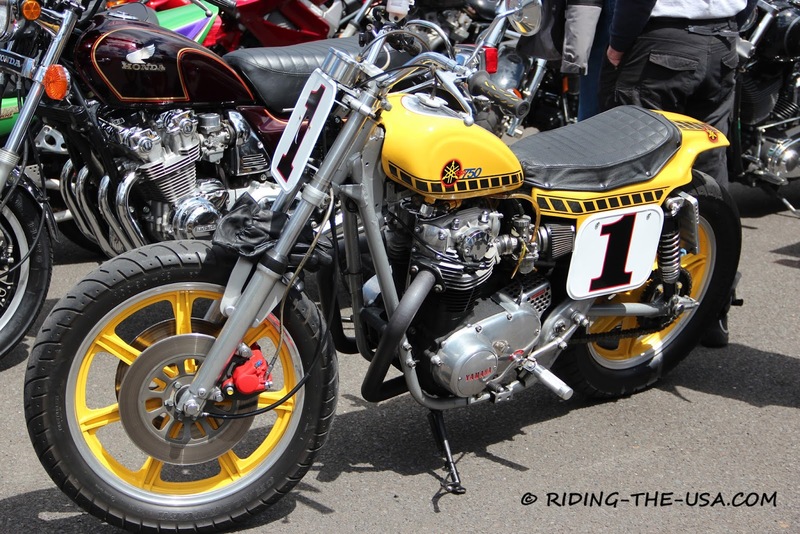 The twin-cam 24-valve engine produced 105 bhp and sounded amazing. 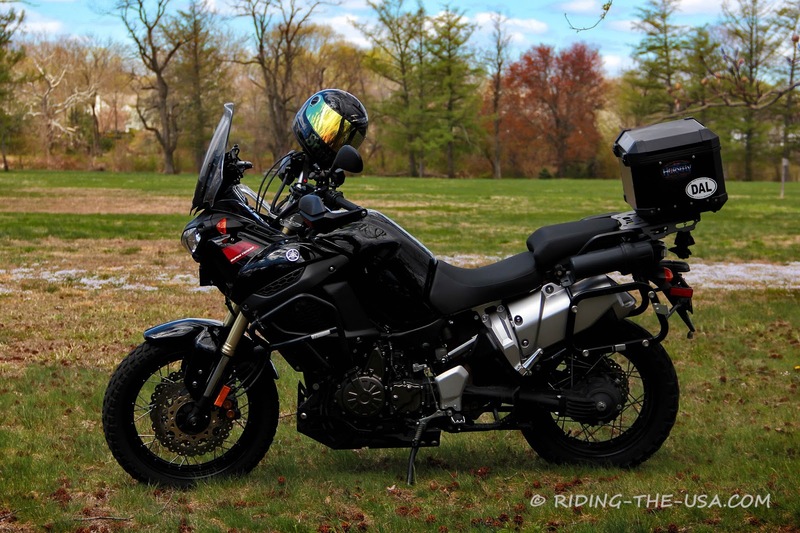 There was a time I was seriously considering buying the Moto Guzzi Stelvio 1200 NTX before Yamaha announced the Super Tenere was coming to the USA. 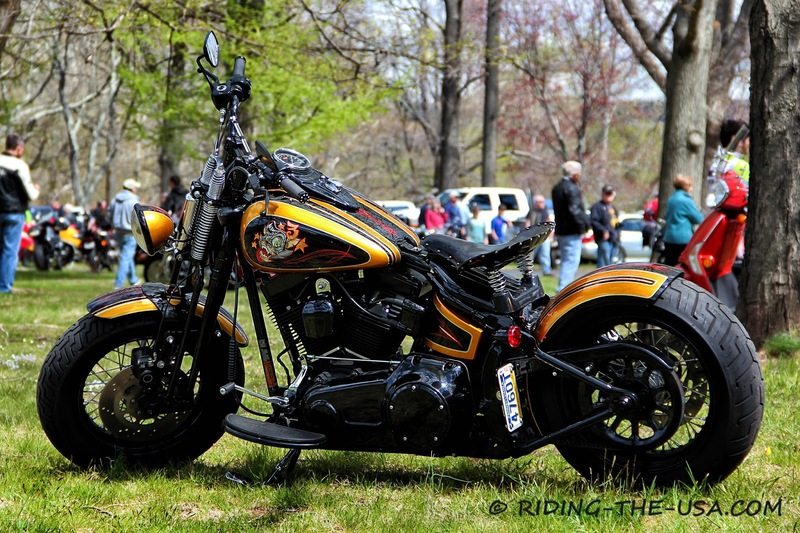 This is a beautiful motorcycle. Not sure what motorcycle this is. 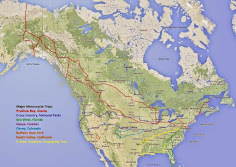 I have asked people on my Google Plus circles and no one could tell me what makes it is. I loved the helmet. 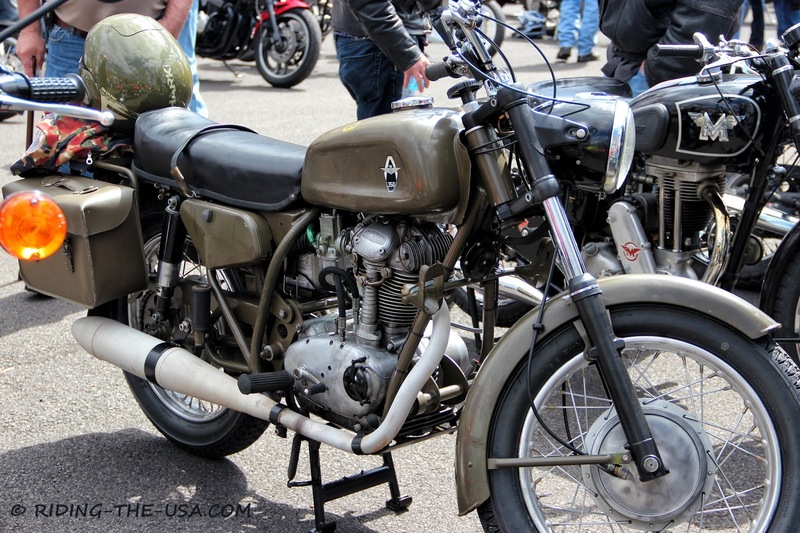 There were lots more motorcycles at the show. 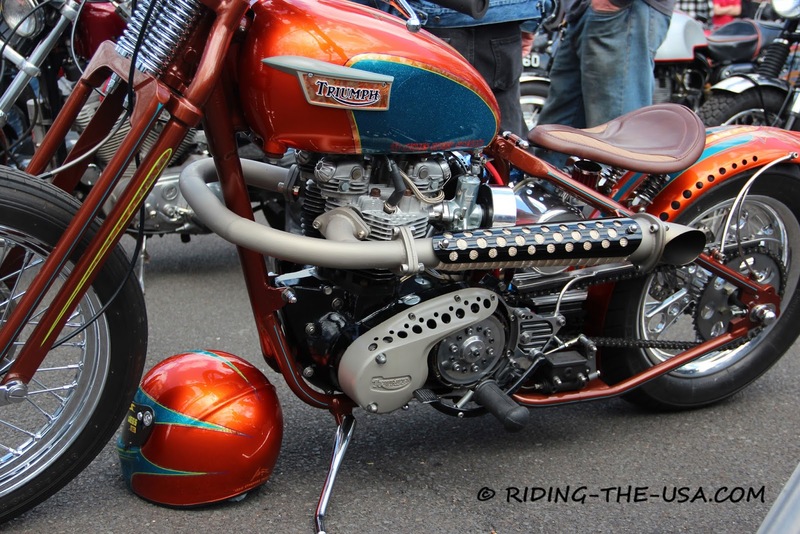 It seems the show keeps getting bigger which is great for any motorcycle motorhead. 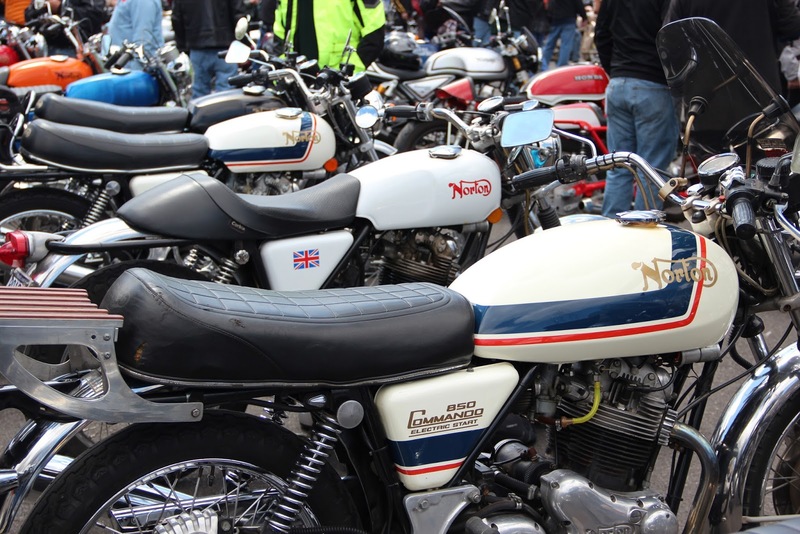 Spring is upon us and once again we start the riding season with a great event. 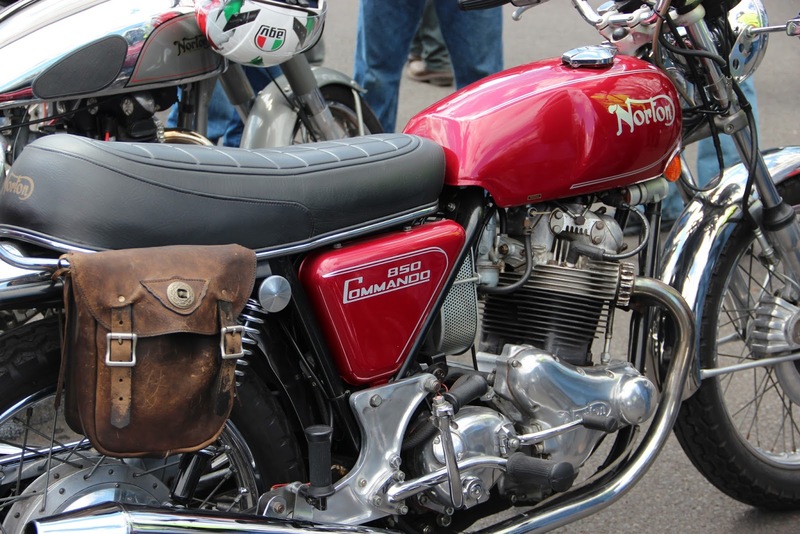 Every year the Delaware Valley Norton Riders organization hosts the annual "Gathering of the Nortons" event at the Washington Crossing Historic Park. 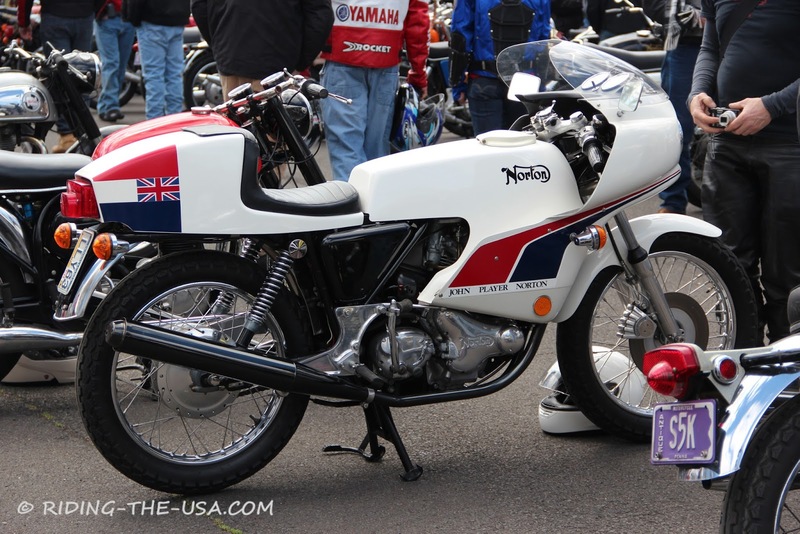 This year's event was the 21st and as usual it was a great event with lots of Norton's on display as well as an assortment of other British, American and Japanese motorcycles. 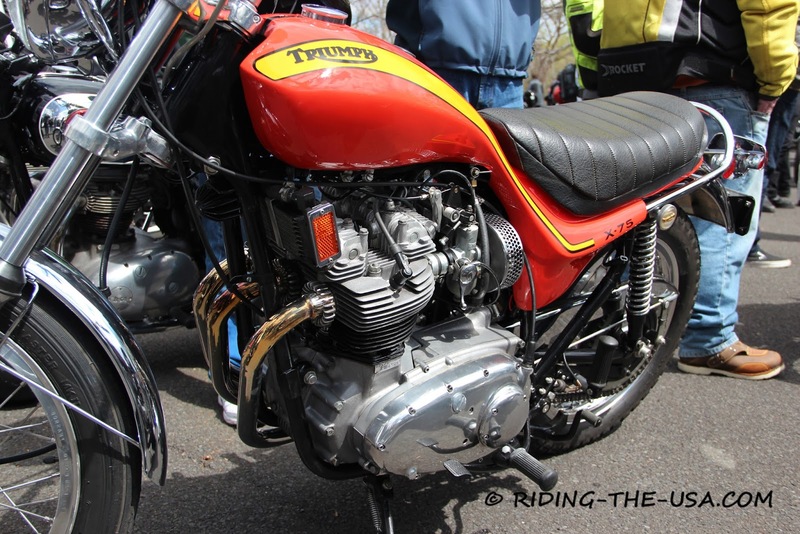 I rode in with the Monmouth County Kruizers group and later left with the RAT group (Riders Association of Triumph), my usual riding buddies. As usual, I took lots of photos and obviously had to take a photo of my pride and joy, my amazing Yamaha Super Ténéré. 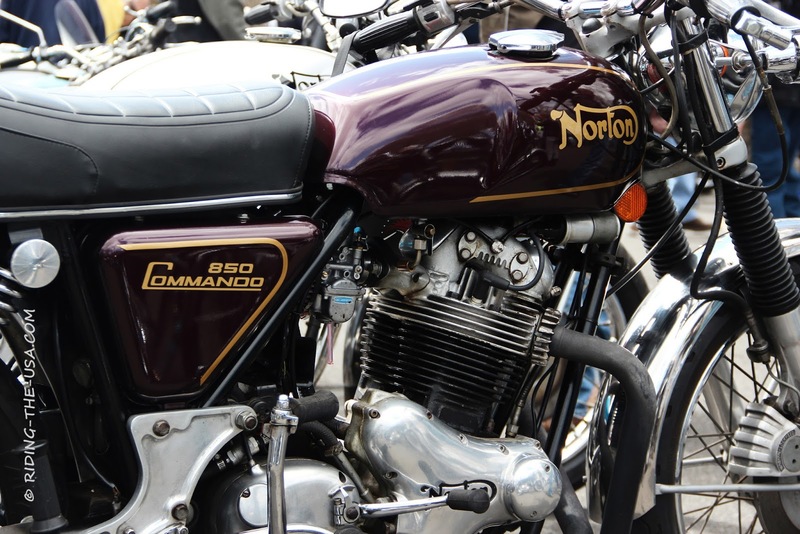 The Norton Commando is a British motorcycle with an OHV parallel-twin engine, launched by the Norton Motorcycle company in 1967. 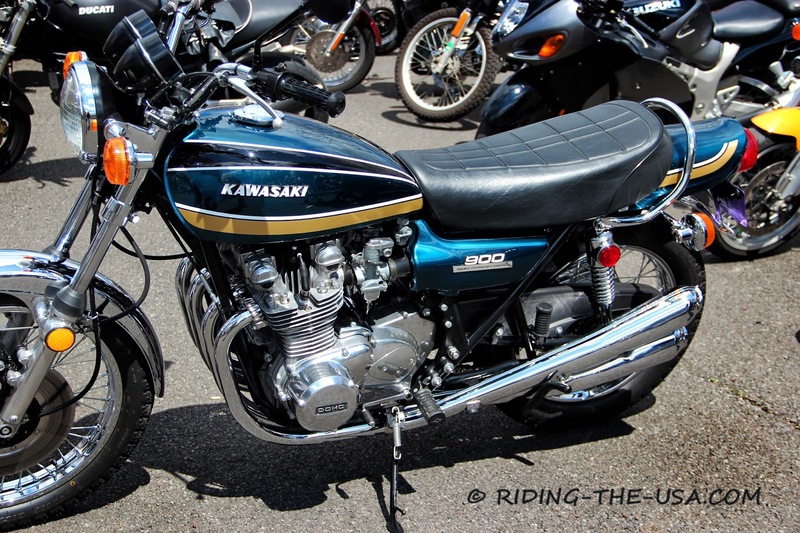 Initially a 750cc displacement but in 1973 it became an 850cc. 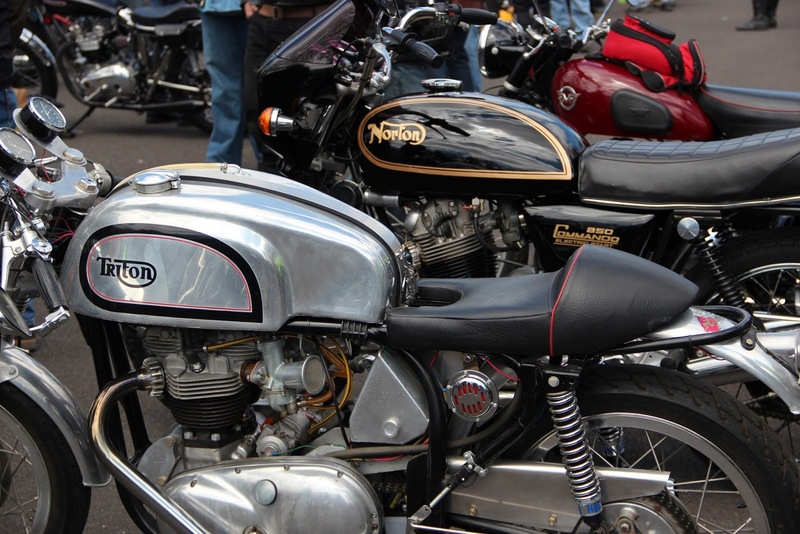 There were probably over 50 Norton Commando's on display. 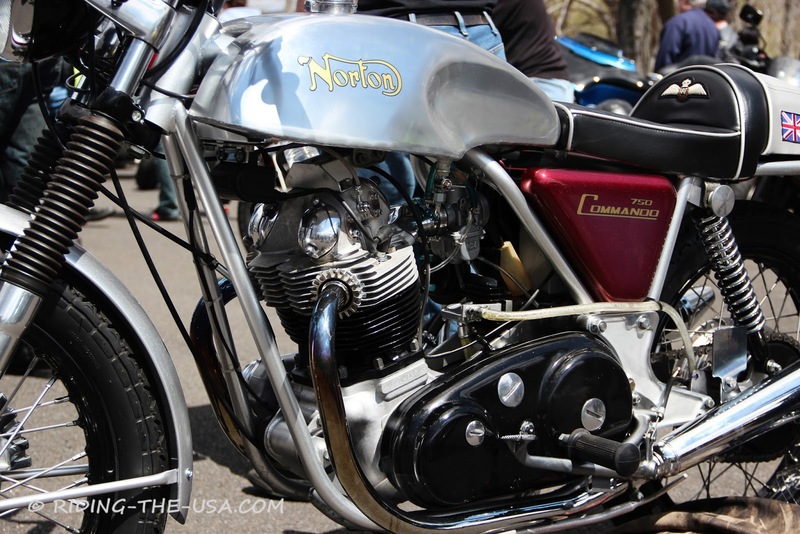 The event is always a great get together of Norton's. 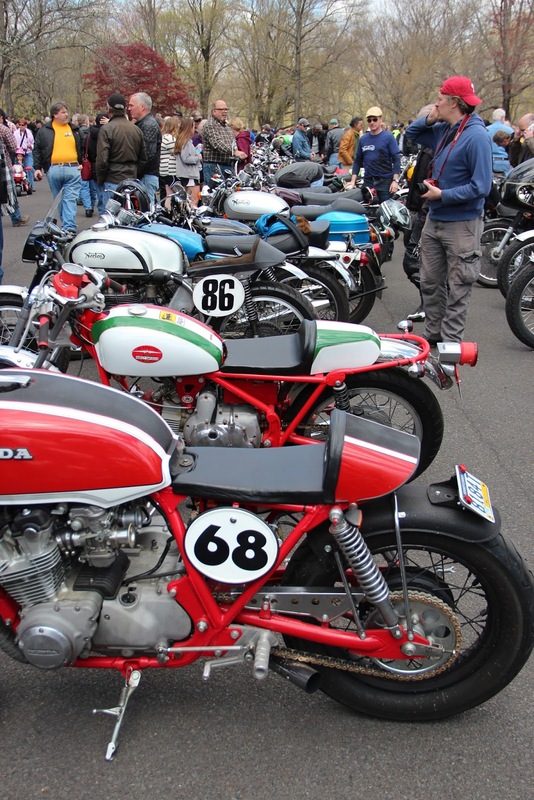 Besides Norton's there were quite a few other motorcycles, some well known others not so much. 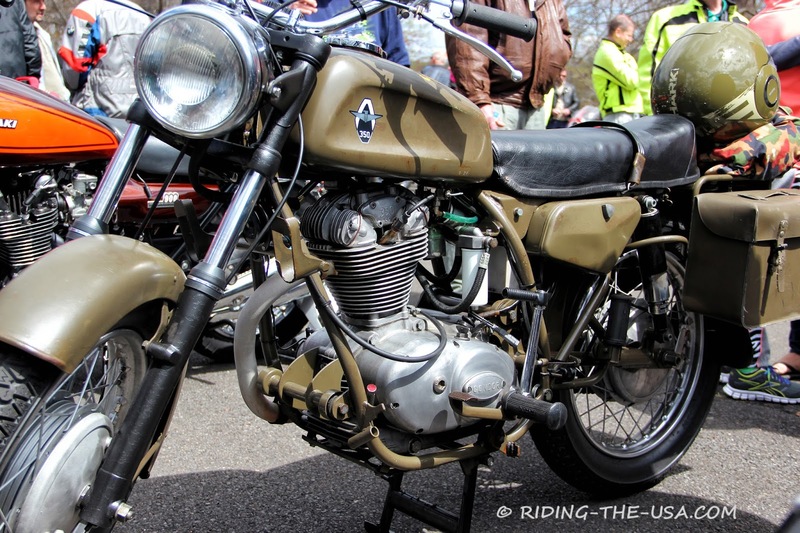 I had never heard of the Condor A350, a Swiss military motorcycle. 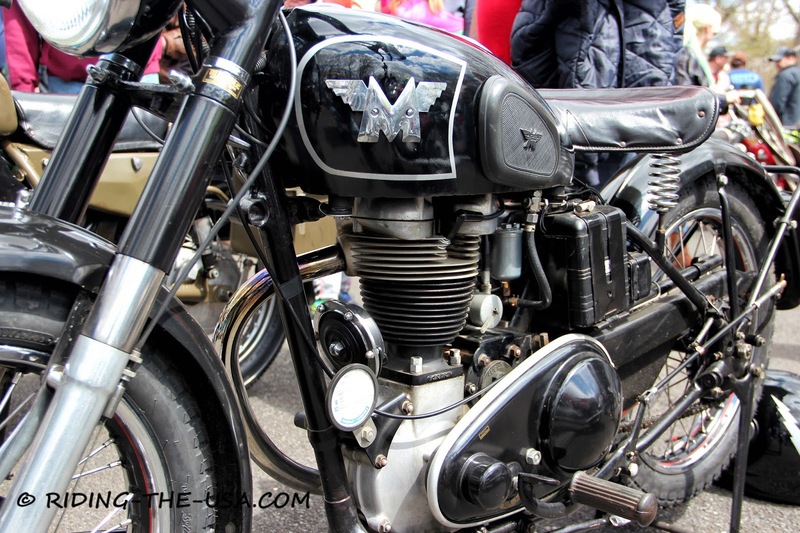 Two British Matchless motorcycles still in good shape. 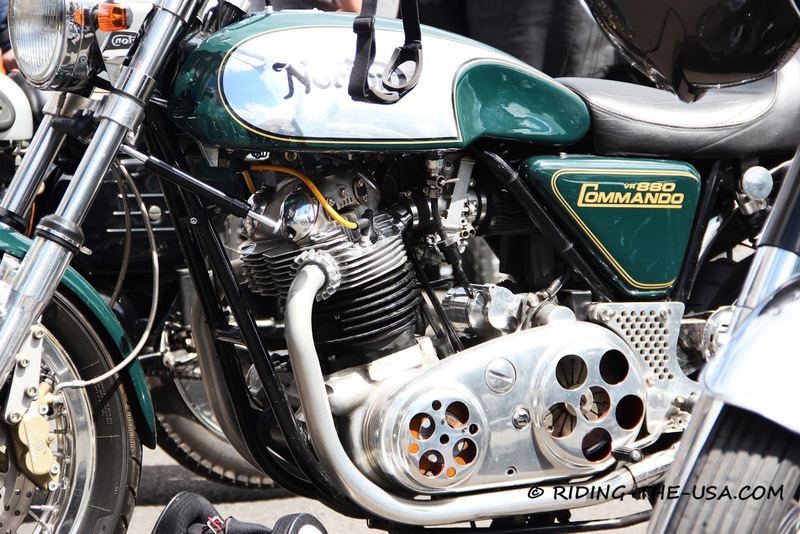 The Norton Commando VR880 was built by Kenny Dreer in the late 90's. 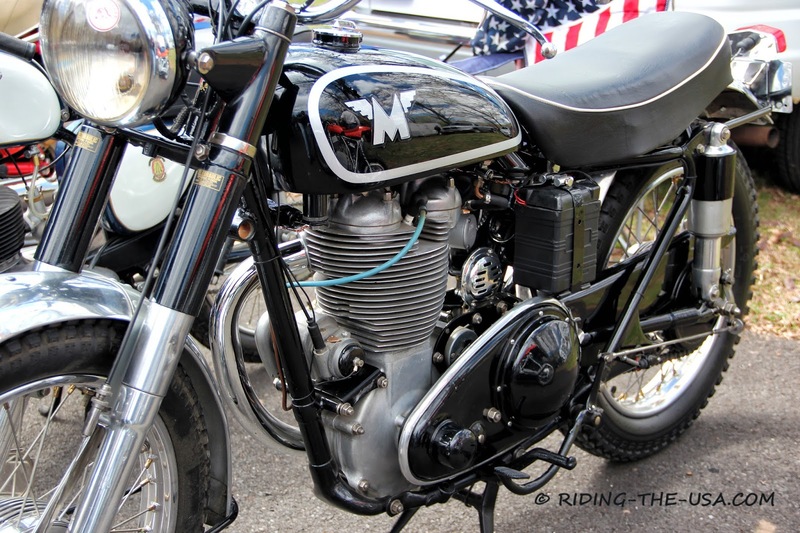 The VR880 is basically a ground-up rebuild of an old bike using many modern improvements and a bored-out motor. 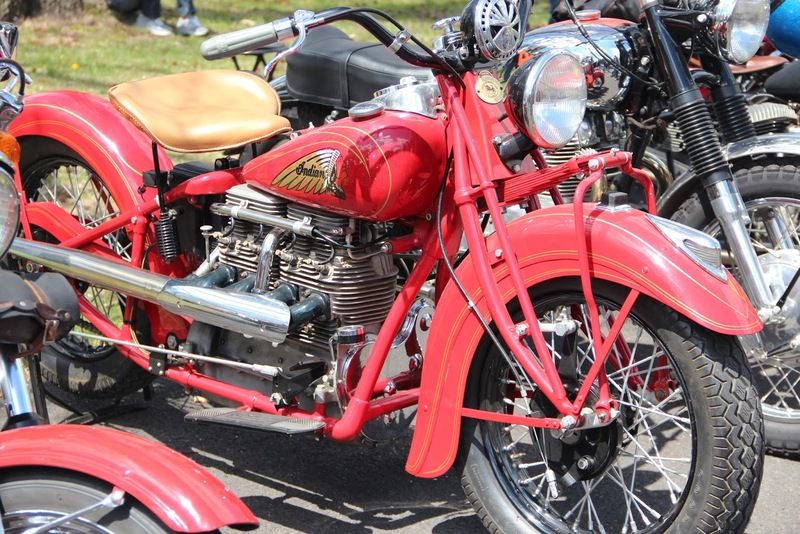 I will post photos of other motorcycles on a later post.